As summer cools down, the Village of Hatch heats up. Labor Day weekend heralds the annual Hatch Chile Festival, a two-day celebration of our world-famous crop. The festival attracts over 30,000 visitors from all over the United States, including such notables as the Food Network and the BBC. 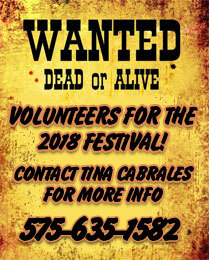 Festival goers can sample famed chile recipes, watch the crowning of the chile festival queen, or toss a horseshoe in celebration of our most famous crop. 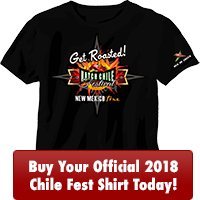 The event also features chile ristra contests, artisan and food booths, and a carnival. Visit our events page. In 2006, we began “Celebrate the Future” day in honor of Spaceport America. Science, engineering and aeronautic organizations present demonstrations and displays to educate our citizens on the impact and employment possibilities of the Southwest Regional Spaceport. The surrounding areas hold your next adventure. With New Mexico State Parks in every direction, you can rock hunt, boat, bike, hike or ski. With Leasburg State Park and Fort Seldon to the south and Caballo Lake State Park, Percha Dam State Park and Elephant Butte Lake State Park to the north, outdoor enthusiasts are sure to find the perfect opportunity for their recreation! Click here to get directions! Located off Interstate 25, between Las Cruces and Truth or Consequences, the Village of Hatch has experienced steady but moderate growth. In 2007, the town population registered a little over 1,600 people. The Village of Hatch also serves seven unincorporated communities with a combined population of 5,000 people. With four banks, two grocery stores, a pharmacy, a few retail stores, and a smattering of restaurants, Hatch offers all the amenities of small-town life. The Ben Archer Health Center meets the community’s healthcare needs with doctors, a dentist, an ambulance service and emergency medical technicians. Our local Municipal Airport was awarded the “most improved small community airport” and continues to improve. Born from an extension of the Santa Fe Railroad Company in 1880, Hatch, New Mexico, began as an adobe post office and a railroad flag station. Named after General Edward Hatch, Commander of the Southwest military, the town grew until a flood in 1921 destroyed many of the adobe buildings constructed of earth and wood. The village rebuilt, and continues to prosper as an agricultural community to this day. The advent of the nearby Spaceport America, the nation’s first purpose-built commercial spaceport, promises an exciting new chapter in the history of Hatch. Visit some of our affiliates here. Known worldwide for our bountiful chile crop, the Hatch Valley also grows onions, pecans, alfalfa, lettuce, cabbage, sweet potatoes, wheat, cotton, and various experimental crops. Our local farming supports a host of subsidiary industries, such as onion sheds and chile dehydrating plants. In fact, Hatch is proud to have never experienced a crop failure!